SERVING PENSACOLA, GULF BREEZE, FORT WALTON, MILTON, NAVARRE & PERDIDO KEY, FL! 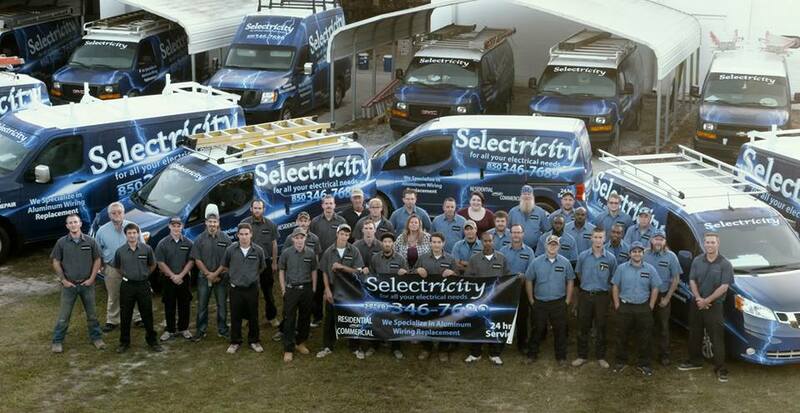 Selectricity is the only licensed electrician you’ll need in the Gulf Coast area. We provide electrical wiring for both new and remodeling projects, as well as high-voltage jobs and fuse panel upgrades. We can also provide AlumiConn connectors, security lighting, and surge protection. Selectricity are your electric experts, delivering quality work and top-notch customer service every time! Because emergencies don’t always occur during normal business hours, we’re available 24/7 to take care of your electrical emergencies. 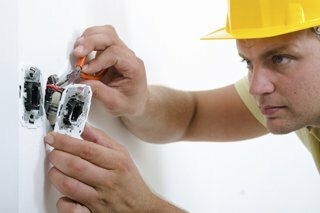 Selectricity is your expert licensed electrician in the Gulf Coast region. Whether you need electrical wiring for a new building, an upgrade, or bringing something up to code, our experts have you covered. If you’re looking to spice up your home or office in Pensacola or Gulf Breeze, FL, we can install decorative custom fixtures and outlets. We can also help install and repair ceiling fans to keep you cool during the warmer months. We pride ourselves on completing the job correctly the first time around, and we fully guarantee all of our work. We always deliver full estimates for proposed projects with no hidden charges and provide quality work completed in a prompt fashion. We understand that life still goes on when something is being repaired or installed, so we do our best to not inconvenience you too much. The Gulf Coast certainly sees its fair share of severe weather, and Selectricity is ready to help you with backup power supplies in the event of an outage. Call 850-346-7689 to learn more about the many electrical services we can provide! Insurance companies will no longer cover homes, most of them older, with aluminum wiring. According to the Consumer Product Safety Commission, homes wired with aluminum manufactured prior to 1972 are 55 times more likely to have one or more connections reach fire hazard conditions than a home with copper wiring. If you’re looking to sell a home with aluminum wiring in Pensacola & Gulf Breeze, FL, you’ll practically have to give it away. Call us at 850-346-7689 and will we replace the aluminum wiring for you! Copper is always the way to go when wiring your home. How do you know if your home was wired with Aluminum? During the buying process of your home, you may not have been informed if your home has aluminum wiring. You may be able to check for aluminum wiring on your own by looking to see if any areas of your home have visible wiring, such as your basement or attic. Certain abbreviations such as AL, AL ACM, ALUM ACM or ALUM on the aluminum wiring may be a great indicator. If you cannot locate any wiring in your home, call us and we can check for wiring and safety concerns. We can also come and offer estimates! 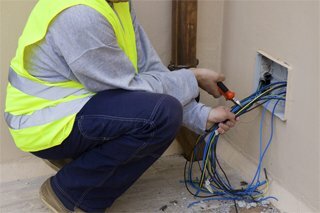 When you need the best connectors to use in Pensacola & Gulf Breeze, FL, when wiring your home, don't worry! We carry AlumiConn Connectors to connect your wiring. They have received many positive reviews in safety and more! The Alumiconn Connector eliminates the scare of fire hazards as well as our copper wiring. Call us today!